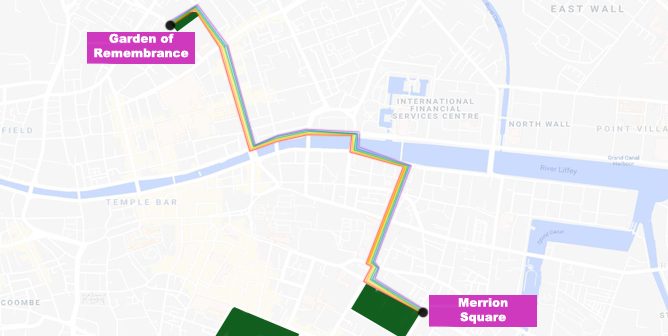 This year, the Dublin Gay Pride Parade will have a new route. The city center will be more colorful on the 29th of June. The celebrations will start at the Garden of Remembrance before starting off from O’Connell Street. In addition to the 7,000 people who will be involved in the event, another 60,000 are expected to form a large rainbow in the streets of the Irish capital. In 2018 I was there. It was my first Gay Pride Parade in Dublin. Only joy on people’s faces resembled what I found in other parades I had attended back in Brazil. Here, what caught my attention was the massive participation of entire families in the event. That was fascinating! Parents, grandparents, babies and even dogs were there celebrating diversity. everything was new for me. Only then did I begin to realise the real meaning of diversity. It is the day to celebrate, the day to mourn those we have lost and the day to show the new generation of LGBTQ+ people that they are valued and cherished and most of all, they are not alone.